Cannabissearch.com Buzz Rating: The inhale is fruity and somewhat mediocre, while the exhale is packed full of danky, skunk flavor. The high comes on steadily and leaves you with a mellow but still pleasant high. Skunk #3, a member of the Skunk family for cannabis was brought to us by breeder, High Quality Seeds. Skunk #3 buds are light-green in color with a multitude of short, orange pistils covering the bumpy foliage. Before you break apart these buds, not much smell comes from them, but once you crack one of them open or put one in a grinder, pungent aromas of skunk, lemon and pine will fill your nostrils. Like most members of the Skunk family, Skunk #3 is highly suitable for beginning or even novice growers. She shows remarkable resistance to pests and disease, is vigilant, and provides exceptionally fantastic yields that are measured by the pound rather than ounce. When grown in a Sea of Green garden she�s known to reward experienced growers with over 3 pounds of medication per square yard. Outdoors, about a pound per plant can be expected. She also flowers for just 8 - 10 weeks, but some slight sacrifice is made in the potency of the medication, with a THC content no higher than 15% and a relatively low CBD content. Many patients who are not fond of overly potent hybrids, tend to gravitate towards Skunk #3 when it�s available. 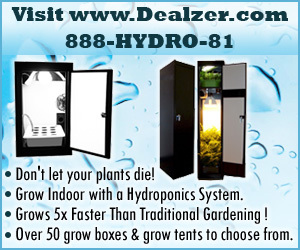 It�s also a great addition to the garden of any medical grower looking to harvest an exceptionally heavy yield, whether outdoor or indoor. The flavor of these buds is that of a classic Skunk strain and leaves the smoker in a mellow, relaxed, and enjoyable medicated state. Skunk #3 4.70 out of 5 based on 4 ratings. 4 user reviews. This one has an amazing taste and also has an amazing smell to it. I recommend it to anyone marijuana user. The buzz is slightly late though. Great Smell, Great Taste, Very Potent, Very Sticky, and Lasted a long time what more could you possibly want from a bud. Plus, works great to relieve the pain. Donated to me by a close friend got to smoke alot of it, third generation. but I was still really impressed, wonder just how good first generation would be. I suffer from chronic pain and this really did the trick.